In this letter Martha Berry tells Miss Grace Everett that she will not be at the schools during the time Miss Grace Everett wants to visit which was stated in a previous letter. 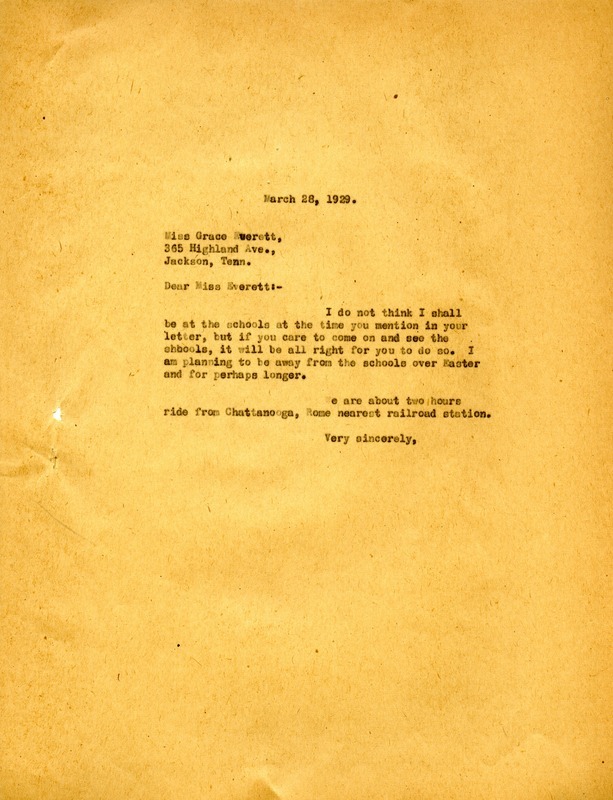 Martha Berry, “Letter from Martha Berry to Miss Grace Everett.” Martha Berry Digital Archive. Eds. Schlitz, Stephanie A., Jordan Brannen, et al. Mount Berry: Berry College, 2012. accessed April 21, 2019, https://mbda.berry.edu/items/show/10036.